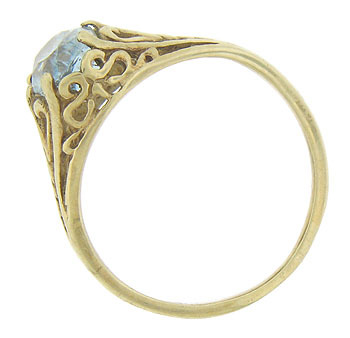 Bold 10K yellow gold organic filigree winds across the sides and shoulders of this antique ring. 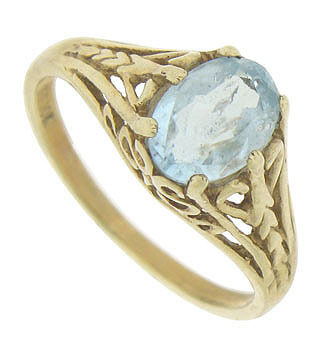 The handsome filigree stretches up to grasp an ice blue oval cut blue topaz at the center of the ring. 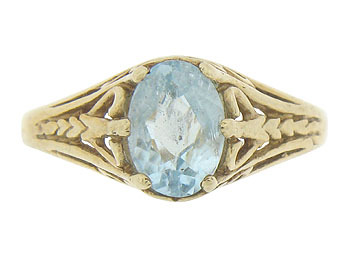 The Arts and Crafts ring measures 7.62 mm in width. Circa: 1910. 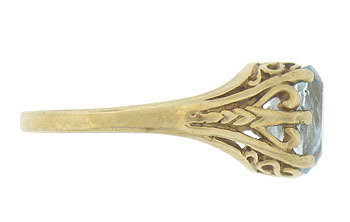 Size 3 1/4. We can re-size.